In the past few decades there has been a growing interest and debate amongst historians of education surrounding issues of visuality, materiality, spatiality, transfer, and circulation. This collection of essays – with its focus on the interaction between ideas, images, objects, and/or spaces that contain an educational dimension – is a contribution to this ongoing debate. The contributors address how meaning is created, conveyed, and transformed through multiple modes of communication, representation, and interaction; through movement across spaces; through media and technologies; and through collective memory- and identity-making. 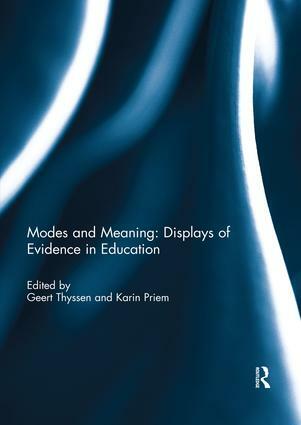 The collection demonstrates that meaning is mobilized through ‘multimodality’, ‘translocation’, ‘technology’, and ‘heritage’, and that it assumes different qualities which need to be reflected upon in the history of education in particular and in education research in general. This book was originally published as a special issue of Paedagogica Historica.